This is a small volunteer-run museum showing the social, agricultural and commercial history of Guisborough. The museum displays a wealth of artefacts and photographs unique to the town and its people. 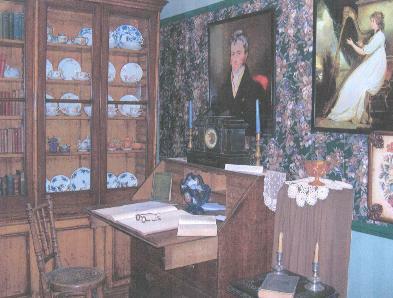 Displays include a wealth of artefacts and photographs, depicting the town’s history. Larger exhibits include an elegant Victorian parlour, the interior of a chemist’s shop and a number of hand operated agricultural implements. The photographic displays include a range of 19thC views of the town and pictures of historic functions and local personalities from the 1890s onwards. The Museum is open every Thursday and Saturday (April to October) from 10am to 4pm.